Gay joined the School of Jewellery in 1992 as Industry Coordinator and became Centre Manager of the Jewellery Industry Innovation Centre (JIIC) in August 2000. After 24 rewarding years she will retire on April 1st. Gay’s career has been inextricably linked with the jewellery industry and she has been instrumental in the success of many projects which have led to the growth of the School’s reputation as innovators in cutting edge technology, and played a significant role in the UK jewellery industry specifically but also internationally. 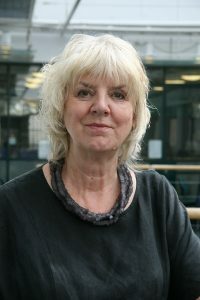 She has led the JIIC team in the support, development and growth of designer makers and SMEs regionally and nationally within the Jewellery industry, and established significant national and international industry and educational contacts that have enhanced significantly the reputation and practice of the Centre. There will be an industry get together in Birmingham on Thursday April 14th at 5.30pm upstairs in Vertu Bar if you are able to attend please contact Gay for details. The recent development of the Technology Hub within the School of Jewellery will ensure that the excellent facility and capability of the JIIC becomes more integrated with and a visible part of the School. The Hub will be managed by Frank Cooper, and will build upon the ethos of being an industry facing activity with a mission to support and accelerate the introduction and adoption of cutting edge technology applications in the jewellery industries but will also broaden its focus by looking to support high value new product development. A great number of people will know Gay Penfold and been glad of her enthusiasm and support over many years. Gay joined the School of Jewellery as Industry Co-ordinator in 1992 and became Centre Manager of the Jewellery Industry Innovation Centre (JIIC) in 2000. She has always been an advocate of students of the School of Jewellery and supporter of designer/makers as well as following all the latest innovations in the Trade. 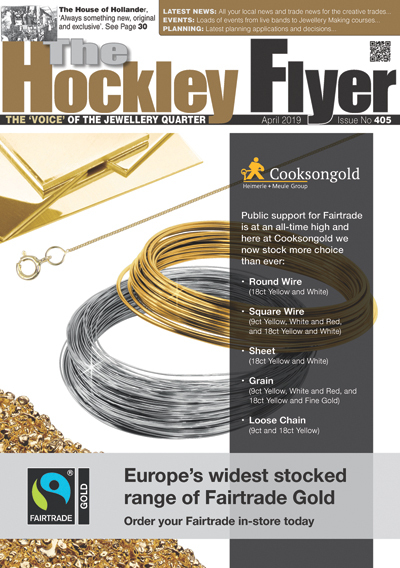 Gay also helped organise several Jewellery Quarter Festivals, working with The School and the Birmingham Assay office. The success of the Festival that the School organised themselves was due almost entirely to Gay and many will agree it was ‘one of the best Jewellery Quarter Festivals’ to date. Gay also supported the Jewellery Quarter Association from its inception and when some mis-guided directors wanted to change the area to become known as ‘The St Paul’s and Jewellery Quarter’ instead of just ‘The Jewellery Quarter’ she was the loudest voice against the proposal. Take care Gay – and enjoy a well-earned rest – you have earned it! and rest assured you will be sure of a warm welcome whenever you re-visit the Quarter!